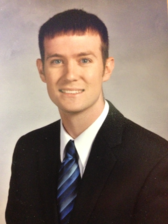 Dr. Andrew Gilman ’11 is now the optometrist for Crawfordsville Eye Clinic in Crawfordsville. After Wabash, Andrew earned his OD degree from the Indiana University School of Optometry. While a student at IU, he worked as an associate instructor for an ophthalmic optics course and was heavily involved in Fellowship of Christian Optometrists, traveling to Guatemala to provide mission eye care. 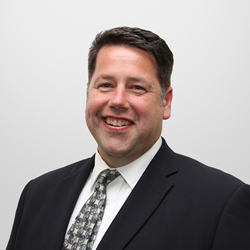 John joined the Memphis-based law firm Harris Shelton Hanover Walsh PLLC in 2000. 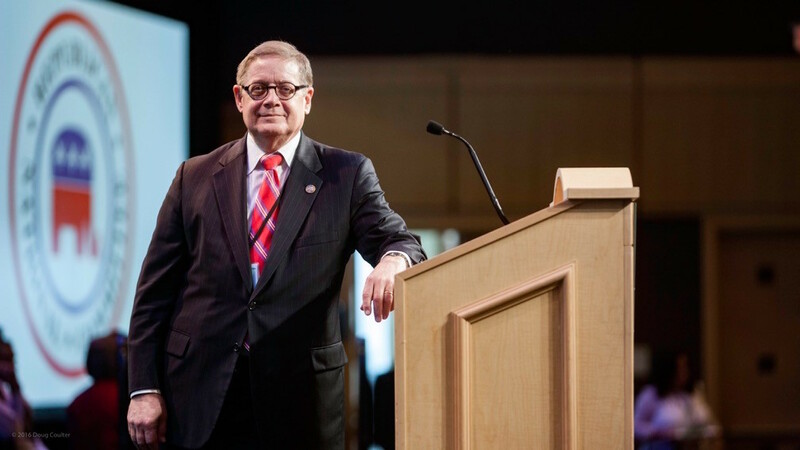 He has served as general counsel of the Republican National Committee since 2013. In addition, he has served in several leadership positions in various local, state and national organizations throughout his career. After Wabash, John earned his J.D. at Vanderbilt University Law School. Ed Broecker ’88 joined the Quarles & Brady LLP Indianapolis office as a Partner in its Business Law Practice Group in August. Click here for the news release. After Wabash, Ed received his law degree from the Indiana University Robert H. McKinney School of Law. CSG International and Industries named Brian Shepherd ’90 as executive vice president of CSG International and president of its Global Broadband, Cable and Satellite business in February 2016. Click here for the news release. 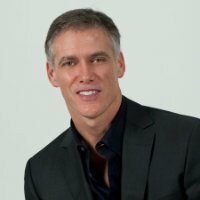 After Wabash, Brian earned an MBA from Harvard Business School. Since 2007, 24 Wabash students have enjoyed the opportunity to study abroad with a summer program, thanks to the Kenneth Rhys Rudolph Memorial Fund for European Summer Study Abroad Scholarship. 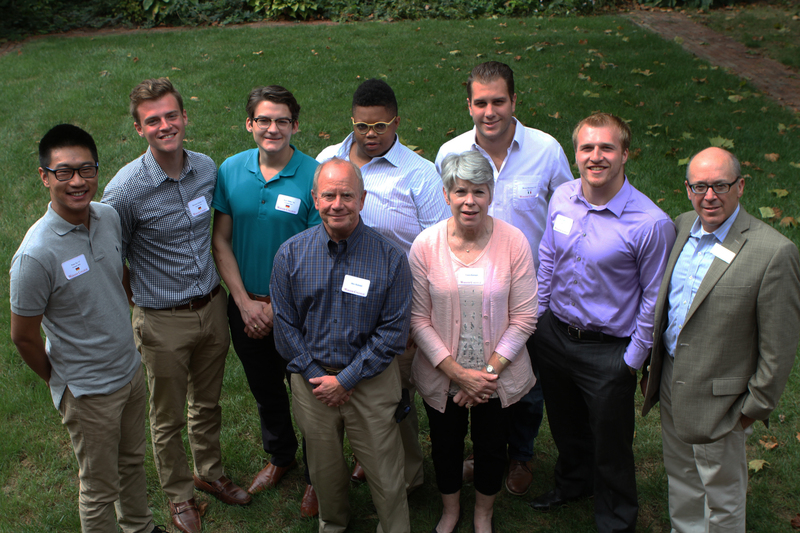 This year, Dr. and Mrs. Rudolph, 2016 recipients, faculty, and staff welcomed back several alumni who had received the Rudolph Scholarship for a reunion at the Caleb Mills House on September 18. Click here for photos. Students and alumni whose travels were sponsored by the Rudolph Memorial Fund include: (from left) Peter Xu ’17, Harrison Schafer ’17, Kurt Miller ’16, Reggie Steele ’12, Bryan Hutchens ’13, and Tyler Andrews ’15, with Dr. Rhys and Laura Rudolph and President Greg Hess. The Rudolph Summer Study Abroad Scholarship was established by friends and family members to honor the memory of Kenneth Rudolph ’05, who died in 2006. Ken so appreciated his own study abroad experience in Stirling, Scotland at the University that his family established a tribute so that students may enjoy the same opportunity. It is intended to offer the experience to students who are unable or choose not to be away from campus for an entire semester, yet they have experiences in travel and academics in another country. Students have studied at universities in England, London, France, Germany, Greece, Italy, and Spain. The Kenneth Rhys Rudolph Memorial Fund for European Summer Study Abroad is administered through the International Studies Office. Click here for information about how to apply for the Rudolph Scholarship. or contact International Studies Director Amy Weir at weira@wabash.edu. 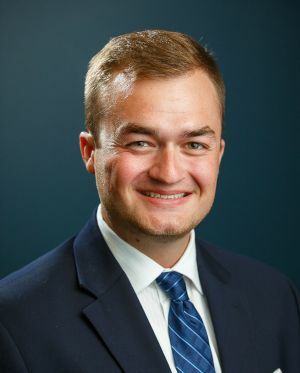 Brent Kent ’09 has been named CEO of Indiana Connected by 25, an Indianapolis-based nonprofit that advocates for children in foster care, providing educational, financial, and social support. Click here for the news release. Brent recently completed a one-year fellowship with 50CAN, focused on education policy, advocacy, and nonprofit leadership. He is currently the public policy chair for the United Way of Central Indiana’s Emerging Leaders Steering Committee and a volunteer tutor for Indy School on Wheels. He is a student at the Krannert School of Management at Purdue University. Author Dan Simmons ’70 was interviewed on NPR’s Weekend Edition this morning. He discussed the newly discovered wreckage of the H.M.S. Terror, one of two 1848 shipwrecks that happened in the Canadian Arctic 168 years ago. Click here to hear Dan’s interview. 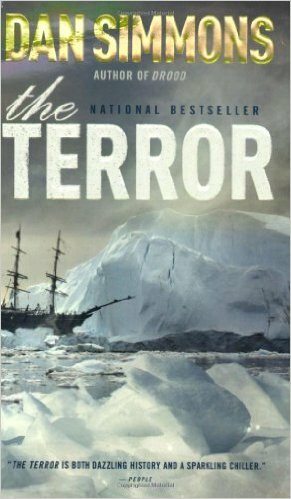 In 2007, Dan wrote a historical fiction novel, The Terror, based on the shipwrecks. Now National Geographic has located the well preserved wreckage. 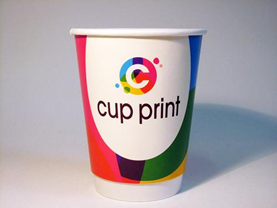 Todd Hoogland ’15 is already making his mark as president of CupPrint US, partnering with its Irish parent company to manufacture disposable customized printed cups. Todd made the company connection as a student in Notre Dame’s ESTEEM program last summer, and has since graduated from the University Notre Dame’s Engineering Science Technology & Entrepreneurship Excellence Master’s program. Jim Sherry ’64 is the winner of the 2016 National Senior Spelling Bee. His winning correct spelling was the word “bivouacking.” Good spelling is not new to Jim. He also won the 2013 national contest! Click here for the details. Language and its nuances come naturally to Jim. 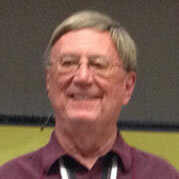 He is currently Associate Professor of French in the Modern Languages and Classics Department at Troy State University. 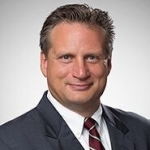 Raycroft ’90 – new VP at PCMI Corp.
Dan Raycroft ’90 has been named VP of Business Development at PCMI Corporation in Park Ridge, IL. Click here for the press release. . He is responsible for expanding PCMI’s presence in the Consumer Warranty sector. 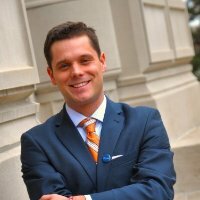 After Wabash, Dan earned an MBA from the University of Notre Dame focusing on International Business and Marketing.